28/02/14 -- Soycomplex: Beans closed sharply higher, getting back all of yesterday's losses and then some. It was a choppy session with the May 14 contract having a near 40 cent trading range in open outcry trade. Yesterday's "just because" fund-generated lower close was clearly seen as a buying opportunity. The USDA announced the sale of 120,000 MT of optional origin beans to Egypt for 2014/15 shipment. The Buenos Aires Grains Exchange estimated the Argentine soybean crop at 53 MMT, unchanged from last week. Brazilian analyst Safras et Mercado cut their forecast for soybean production there to 86.1 MMT, that's still a record crop, but now some way short of the 90-92 MMT that the market was talking about a few months ago. Brazil's crushing association, Abiove, stood by it's forecast for a record crop of 88.6 MMT. Earlier in the week Oil World said only 85 MMT. Logistics are worsening in Brazil where the Madeira River - an important link between Mato Grosso soybeans and Porto Velho, the capital of the state of Rondonia and gateway to the northern port of Itacoatiara - has reached historic flood levels. As a result soybean receivals from Mato Grosso are said to have ceased. Mato Grosso soybeans, where the harvest is only about halfway done, must now slog it out down Brazil's 1,500km long "soybean highway" the BR-163 en route to ports in the south. This highway was reduced to just one lane after a dam burst its banks earlier in the week. The time taken to repair the damage "could take several months" according to Dr Cordonnier. Funds were estimated to have been net buyers of around 9-10,000 soybean contracts on the day. Their net long as of Tuesday night is now well in excess of 200k contracts. Mar 14 Soybeans closed at $14.14 1/4, up 20 3/4 cents; May 14 Soybeans closed at $14.14, up 24 cents; Mar 14 Soybean Meal closed at $467.90, up $3.90; Mar 14 Soybean Oil closed at 41.52, up 62 points. For the week that puts the front months up 43 1/2 cents on beans, with meal up $12.10 and oil up 57 points. Corn: The corn market also reversed yesterday's action, with fund money seen buying a net 12,000 contracts on the day - a similar volume to that they were said to have sold yesterday. The ongoing wet weather in Brazil is seen hampering the timely planting of second crop corn. The turmoil in Ukraine is seen potentially hindering corn exports there, and possibly even impinging on spring corn plantings and/or reducing inputs later in the season due to the weak hyrvnia/US dollar exchange rate. At least for now, buying corn from Ukraine doesn't look a very safe option if you want guaranteed delivery, even though some say that the ports are operating more or less normally. The Buenos Aires Grains Exchange said that Argentine corn harvesting is 1.6% complete, barely moved on 1.2% a week ago and well behind the 6% of a year ago. They have the Argentine corn crop estimated at 23.5 MMT, unchanged from their previous forecast. Safras et Mercado cut their Brazilian corn production forecast to 71.2 MMT from the 75.6 MMT estimated previously. CEC estimated South Africa’s 2014 corn crop at 12.40 MMT versus a previous figure of 11.69 MMT. There's talk of a potential increase to the US corn ethanol mandate from the EPA, or at least a reduction not as great as the originally proposed cut to 13 billion gallons from 14.4 billion. The new number being bandied about is 13.5 million gallons. The USDA announced 101,600 MT of corn sold to unknown for 2013/14 delivery. Israel bought 60 TMT of optional origin corn (possibly from the Black Sea) for May/June shipment. The weekly Commitment of Traders report shows fund money continuing to build on their newly established corn long for the week through to Tuesday night. They are now said to be sitting on their largest net long since early last summer. Mar 14 Corn closed at $4.57 1/2, up 9 1/2 cents; May 14 Corn closed at $4.63 1/2, up 9 cents. For the week front month Mar 14 corn was 4 1/2 cents higher. Wheat: The wheat market also effectively reversed yesterday's sharp losses, posting gains of around 15-17 cents on the day. US weather remains cold and dry. Midwest winter precipitation averages 81% of normal, whilst temperatures have been exceptionally cold - averaging 4.9 F below normal, according to Martell Crop Projections. "A fresh blast of polar air would sink into the US heartland in the wake of an upcoming Midwest storm due Sunday. North Dakota temperatures may plummet to -35 F (-17 C) on Tuesday morning. Subzero F temperatures are predicted as far south as Kansas. Presently wheat fields are bare, but snow is predicted ahead of the cold wave in the weekend storm. Severe drought is plaguing the Southern Plains jeopardizing the wheat crop in Oklahoma and Texas. While Kansas is expecting generous precipitation this weekend, the 2 southern wheat states are not," they add. ABARES are due to released their 2014/15 Australian crop production estimates on Tuesday. A Reuters survey estimates the new season wheat crop at around 25 MMT, although traders note that it's still very early days as plantings there don't get underway until May. The Egyptian state-run Middle East News Agency (MENA) said that the country has enough wheat bought to last it until early June. Tensions in Ukraine are keeping wheat shorts nervous, even though they are effectively more or less out of the export market until new crop. "It's looking increasingly like Russia has taken Crimea; to contextualise it for my UK pals, it's like France taking control of the Isle of Wight," said my Ukraine agronomist chum Mike Lee. "The Commitments of Traders (report) shows that managed money continued to cover shorts at an almost frantic pace in Chicago Wheat," said Benson Quinn Commodities. They cut their net short by around 14k lots on the week through to Tuesday night and now sit on a net short of just over 20k contracts versus over 100k at the end of 2013. Mar 14 CBOT Wheat closed at $5.99, up 16 3/4 cents; Mar 14 KCBT Wheat closed at $6.77, up 14 3/4 cents; Mar 14 MGEX Wheat closed at $6.70 3/4, up 15 1/4 cents. For the week CBOT wheat was still 10 3/4 cents lower, with Kansas down 5 3/4 cents and Minneapolis rising 6 1/2 cents. 28/02/14 -- EU grains finished mostly lower on the day, but not really that much changed for the week. The session closed with Mar 14 London wheat ending down GBP0.35/tonne at GBP155.75/tonne, and with new crop Nov 14 London wheat closing GBP0.40/tonne lower at GBP147.50/tonne. Mar 14 Paris wheat was down EUR0.50/tonne to EUR201.25/tonne, Mar 14 Paris corn was down EUR3.25/tonne to EUR169.25/tonne, whilst May 14 Paris rapeseed fell EUR2.25/tonne to close at EUR394.75/tonne. For the week that puts Mar 14 London wheat GBP0.15/tonne higher, with new crop Nov 14 down GBP1.40/tonne. Front month Paris wheat gained EUR3.00/tonne, Paris corn fell EUR4.75/tonne and Paris rapeseed added EUR1.75/tonne. One of the main items open for debate at the moment is how will the developing situation in Ukraine pan out, and how will that affect the grain markets going forward. As ever these things are rarely clear-cut, and it's possible to make out both a bullish and bearish case. Indeed, simply the weakness of the local currency alone could be seen as bullish (as it makes imports of dollar-priced fertiliser and agrochemicals more expensive) or bearish (as it makes selling wheat or corn in dollars an attractive proposition). On balance though, the bullish factors probably outweigh the bearish ones, and uncertainty on it's own is generally something that the market doesn't like and it frequently prompts a short-covering and/or speculative rally. A quick and peaceful solution to the region's problems could equally prompt a decline in grain prices, especially with the spring planting season just about upon us. Elsewhere, FranceAgriMer said that 74% of the winter wheat crop there was in good to very good condition, the same as a week ago and 8 points ahead of this time last year. Winter barley rated good to very good fell a point on last week to 71%, although that's still 4 points ahead of last year. The French winter wheat crop remains quite forward, aided by the relatively mild conditions, with 94% of the crop at the early tillering versus only 82% a year ago. They reported 2% of the crop to be displaying an ear of at least 1 cm long, versus zero a year ago. Aquitaine is the most advanced region where 31% of the crop is already at this stage. French winter barley is 99% tillering and 1% of the crop has an ear of at least 1 cm long. Algeria bought 50,000 MT of Argentine barley for March shipment. Israel bought 60 TMT of optional origin corn (possibly Black Sea origin) for May/June shipment. Egypt bought 5 cargoes of wheat in yesterday's tender, including 4 of the 8 consignments of Russian wheat on offer, proving that the latter isn't out of the market yet - especially with the rouble remaining weak. Romania also managed to dig up a couple of cargoes, one of which was booked. 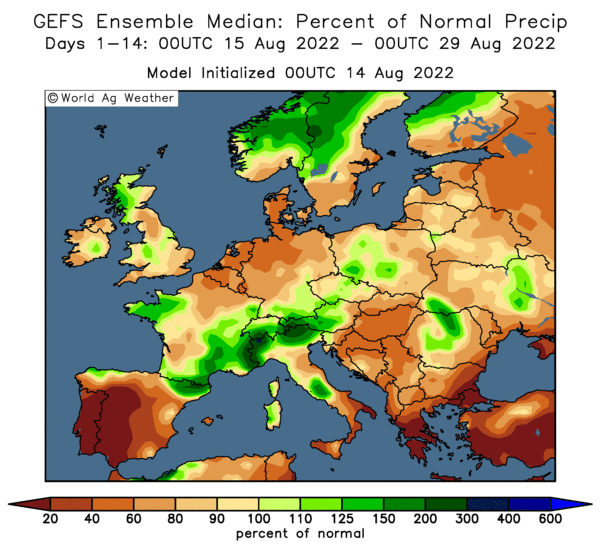 There are still enough uncertainties around to underpin current price levels, including a US winter wheat crop that will come out of dormancy in far worse condition than it entered it, and of course Ukraine. Further forward though, downside pressure potential does exist as the northern hemisphere harvest draws closer. That will kick off in India, where a record crop is anticipated, in only a matter of weeks. 27/02/14 -- Soycomplex: Beans raced to new highs in early trade, with the front month Mar 14 contract popping its head above the $14.50/bushel mark at one point, before collapsing for no apparent reason. The market is massively overbought, and fund length is at the highest level since at least September 2012, so these sort of capitulations are almost inevitable if everyone wants to cash in their chips all at the same time. The USDA announced that China had bought 112,000 MT of optional origin beans for 2013/14 shipment. They also reported weekly export sales of 327,700 MT of old crop beans (mostly to China), taking 2013/14 commitments now to 106% of the USDA's forecast for the season. The USDA also reported new crop export sales of 315,200 MT along with weekly shipments of an impressive near 1.8 MMT. There's not a lot of bearish news in amongst that lot, but still the market went lower. MDA CropCast cut their Brazilian soybean production estimate by 1.38 MMT to 88.53 MMT. Mar 14 Soybeans closed at $13.93 1/2, down 13 3/4 cents; May 14 Soybeans closed at $13.90, down 7 cents; Mar 14 Soybean Meal closed at $464.00, down $4.30; Mar 14 Soybean Oil closed at 40.90, down 30 points. Corn: The corn market also crashed lower, with funds selling an estimated 12-15,000 contracts on the day. Weekly export sales of 840,800 MT for 2013/14 and a modest 1,500 MT for 2014/15 were towards the top end of trade expectations. Private exporters also reported sales of 284,480 MT of US corn for delivery to Mexico during the 2013/14 marketing year under the daily reporting system. However, for corn too, it was just one of those days when any bullish news was largely ignored in the face of heavy fund selling. MDA CropCast cut their forecast for the Brazilian corn crop by 180 TMT to 69.74 MMT, and down from 76 MMT a year ago. The IGC left their world 2013/14 corn production estimate unchanged at 959 MMT, but raised consumption by 4 MMT to 932 MMT. World corn production in 2014/15 was forecast to decline modestly. Another bout of very harsh weather conditions in the US is expected to keep feed demand high. Mar 14 Corn closed at $4.48, down 7 1/2 cents; May 14 Corn closed at $4.54 1/2, down 6 1/2 cents. Wheat: The wheat market, by way of not wanting to be the odd one out, fell into line tumbling 14 to 17 cents lower on the day across the three exchanges. The USDA reported weekly export sales of 365,100 MT of old crop and 199,800 MT of new crop. Weekly shipments of 547,400 MT were respectable enough. The market was disappointed however to see US wheat priced out in Egypt's latest wheat tender, having won a share of GASC's business last time. Russian wheat dominated, wining the lion's share of the 295 TMT order, with one cargo going to Romania. This apparently confirmed the market's fear that US wheat prices have gone up too far, too fast, this month. China sold 406,105 MT of wheat at auction today out of an offered volume of 607,157 MT. MDA CropCast cut their forecast for the Indian wheat crop this year by 0.5 MMT to 96.9 MMT, although that's still a record. They also trimmed 0.8 MMT off their US all wheat production estimate. Mar 14 CBOT Wheat closed at $5.82 1/4, down 17 3/4 cents; Mar 14 KCBT Wheat closed at $6.62 1/4, down 16 3/4 cents; Mar 14 MGEX Wheat closed at $6.55 1/2, down 14 3/4 cents. 27/02/14 -- EU grains were mixed, although mostly a little lower, as generally sideways trade continues. Paris wheat did at least manage to hold above the EUR200/tonne mark on front month Mar 14 for a second day despite French wheat missing out in the latest Egyptian tender. Mar 14 London wheat ended GBP0.65/tonne lower at GBP156.10/tonne, and with new crop Nov 14 GBP0.35/tonne easier at GBP147.90/tonne. Mar 14 Paris milling wheat was EUR1.50/tonne higher at EUR201.75/tonne, Mar 14 Paris corn was unchanged at EUR172.50/tonne and May 14 Paris rapeseed added EUR2.50/tonne to post a fresh 7-month closing high of EUR397.00/tonne. Egypt's GASC bought 295 TMT of wheat in their tender. It was mostly Russian origin that won the day, although they did also book one cargo of Romanian wheat. It was interesting to note that there were plenty of Russian offers this time around, and at cheaper money than in GASC's last tender, whilst French and US wheat bids were higher. The cheapest French offer, including freight, was more than $10/tonne above the winning Russian bids. Rusagrotrans said that they expect Russia's grain exports to rise to around 1.3 MMT in March, up from 1.15-1.2 MMT in February, noting that weakness in the rouble is enabling Russian wheat to compete favourably with US and European offers. The Russian Ag Ministry said that the country had exported 18.25 MMT of grains in the Jul 1 - Feb 19 period, an increase of a third on a year ago. APK Inform said that 70% of winter grains in the northern Ukraine Sumy region were rated in good condition, with the remaining 30% all satisfactory. Spring barley is being actively planted in the Crimea region despite the recent troubles, they added. The local Ag Department said that 82% of winter grains in the north eastern region of Kharkiv were in good to satisfactory condition. The Ukraine hryvnia sunk to a new low of 10:1 against the US dollar. Whilst that will help their competitiveness in the short-term, it may mean farmers cut back on dollar denoted imports of fertilisers and agrochemicals later in the year, potentially harming yields for the 2014 harvest. Brussels announced that they'd cleared 932 TMT of soft wheat export licences this past week - the largest weekly total of the 2013/14 marketing year so far. That takes the cumulative total for the year so far to 20.2 MMT versus only 13.1 MMT this time a year ago. The International Grain Council upped their forecast for the 2013/14 world wheat crop by 1 MMT to a new record 708 MMT. They also said that the 2014/15 global wheat crop will fall to 696 MMT on lower yields. 26/02/14 -- Soycomplex: Beans marched on to close at fresh highs, despite the setback of weaker overnight trade, on widespread talk of yield losses in Brazil caused by excessive rains. "Extreme weather continues in Brazil soybeans, the latest threat coming from widespread flooding in Mato Grosso. When it rains it pours. Soybeans in Mato Grosso have been hit with excessively rainfall, disrupting the soybean harvest in Brazil’s leading soybean state," said Martell Crop Projections. The town of Sorriso in Mato Grosso state was said to have declared a state of emergency due to excessive rains. The soybean harvest in Mato Grosso is said to be around 45/50% done. Mato Grosso do Sul is said to be around 70% complete. Further south in Brazil it's dryness that's been the problem, with yields in Parana said to be coming in lower than expected due to lack of rains earlier in the year. "Less than 40% of normal rainfall in Parana and NW Rio Grande do Sul stressed soybeans in the month through to Feb 17," said Martell Crop Projections. The Parana state government said that 2.0 MMT of soybeans have been lost due to drought and the hot weather in January and February. They estimated the Parana bean crop at 14.47 MMT versus a previous estimate of 16.5 MMT. Tomorrow's weekly export sales report will be of interest. Will the widely talked about, but largely absent, Chinese cancellations show up? Trade estimates for beans are for sales around 400-800 TMT. Fund money continues to pile in for beans. They were estimated as net buyers of around 5,000 contracts on the day. Last week's Commitment of Traders report already showed them as sitting on their largest long position in beans since September 2012. Mar 14 Soybeans closed at $14.07 1/4, up 8 1/4 cents; May 14 Soybeans closed at $13.97, up 9 3/4 cents; Mar 14 Soybean Meal closed at $468.30, down $1.30; Mar 14 Soybean Oil closed at 41.20, up 62 points. Corn: The corn market closed barely changed. Choppy and two-sided trading continues for the corn market, but the edge still goes to the bulls, with front month Mar 14 up more than 10% from the mid-January lows. The USDA announced 101,600 MT of US corn sold to unknown for 2013/14 shipment. Taiwan bought 60,000 MT of US corn for April/May shipment. The extremely wet weather in northern and central areas of Brazil's Mato Grosso, where the main concentration of the state's "safrinha" corn production is focussed, is causing planting delays. Mato Grosso is estimated to be 60% done on corn planting, with Mato Grosso do Sul around 52% complete. Deral estimated Parana’s first corn crop at 5.5 MMT versus a previous estimate of 5.62 MMT. They said that Parana’s second corn crop planting has been delayed due to rains. Despite official figures appearing to show that Ukraine's corn exports have been largely unaffected by the ongoing political turmoil and civil unrest in the country, the trade continues to see things differently. The situation could provide a short-term boost for other sellers, although the recent devaluation of the Ukraine hryvnia (down 15% in a month against the US dollar) should ultimately mean that they return as aggressive sellers again once the situation calms down. 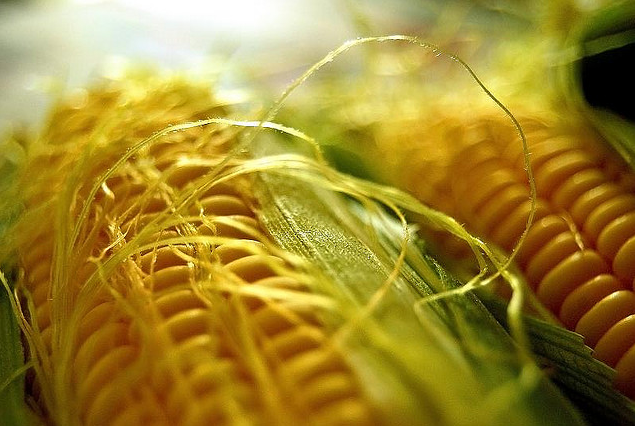 The Ukraine Stats Office said that the country had exported a record volume of corn in December - 3.9 MMT. Of that total 28% went to buyers in East Asia, with Korea (630 TMT) and Japan (445 TMT) the largest buyers in the region. Both would be considered "traditional" homes for US corn. The US Energy Dept reported weekly ethanol production up marginally on a week ago at 905,000 barrels/day, but that's still below the circa 930k bpd needed to hit the USDA's target for the season. Estimates for tomorrow's weekly export sales are around 400-800 TMT. Mar 14 Corn closed at $4.55 1/2, down 1/4 cent; May 14 Corn closed at $4.61, down 1/4 cent. Wheat: The wheat market crashed lower on ideas that the recent rally to 2-month highs will cut off export business. Egypt's surprise cancellation yesterday of 110 TMT of US SRW wheat added a bit of fuel to the fire. It was private buyers, not the government agency GASC who cancelled the purchase. Traders said that the actions were due to price, and not because of politics or the recent news that officials were being prosecuted for corrupt trade practices in the rice market. Late in the session, reports that Argentina had cleared a further 500 TMT of wheat for export also knocked hopes for US exports to Brazil. That appeared to be enough to foster the belief that US wheat is too expensive into all but "traditional" US homes. Fears of US winter wheat damage by another hard blast of Arctic air this week were brushed aside. So too were worries about continuing drought on the southern Plains. European and FSU weather conditions are nowhere near as harsh as those being experienced in the US. Spring planting is underway in near ideal seeding conditions in the south of Russia, according to Agritel. Planting has also begun in Ukraine, despite the ongoing upheaval. High prices will encourage Brazilian farmers to increase their wheat plantings this year, and they could harvest a record 7.33 MMT crop towards the end of 2014, according to Safras e Mercado. The last thing that US wheat needs now is a set of disappointing weekly export sales from the USDA tomorrow to apparently "confirm" that US prices have indeed risen far enough to choke off demand. Trade estimates for that are anywhere from 250-750 TMT. After the close Egypt issued a tender for wheat for March 15-31 shipment with the results expected around 13.30 GMT Thursday. This is GASC's first tender since late January when the bought 240,000 MT of Russian and US wheat for shipment March 1-10. Mar 14 CBOT Wheat closed at $6.00, down 15 cents; Mar 14 KCBT Wheat closed at $6.79, down 11 1/2 cents; Mar 14 MGEX Wheat closed at $6.70 1/4, down 3 3/4 cents. 26/02/14 -- EU grains closed higher, with both Mar 14 London wheat and Mar 14 Paris wheat managing the highest close for a front month since Jan 8. Paris wheat did so by finally managing to break through the EUR200/tonne barrier too. 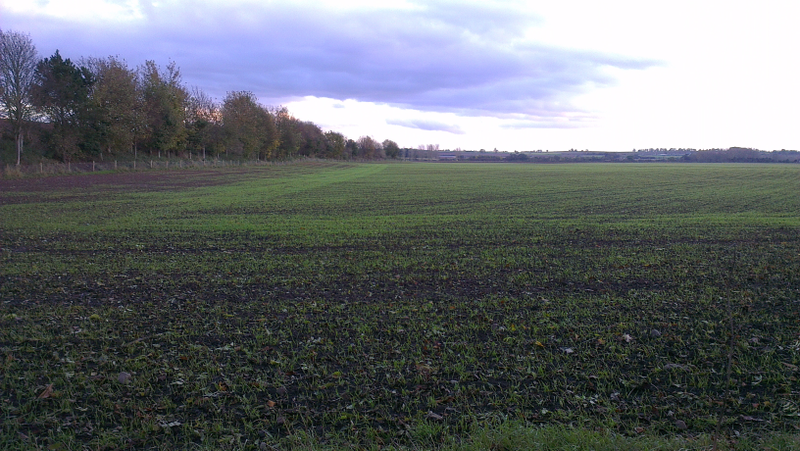 The casino that is Paris rapeseed meanwhile closed at the best levels on a front month since last July. Mar 14 London wheat closed GBP0.75/tonne firmer at GBP156.75/tonne, whilst new crop Nov 14 was also GBP0.75/tonne higher at GBP148.25/tonne. Mar 14 Paris wheat closed EUR1.25/tonne higher at EUR200.25/tonne, Mar 14 Paris corn was up EUR0.25/tonne at EUR172.50/tonne, whilst May 14 Paris rapeseed was EUR4.75/tonne higher at EUR394.50/tonne. Note that open interest in the Mar 14 London wheat contract is only 5 lots and the contract didn't actually trade today. A rise in tensions between Russia and Ukraine got the market a little nervous, after government buildings in the Crimean capital of Simferopol were seized by armed men and the Russian flag was raised. The flood of cheap corn pouring out of Ukraine has been one of the main factors keeping wheat prices in Europe under pressure. The Ukraine Stats Office had earlier reported that the country exported a record 3.9 MMT of corn in December. Spring grain planting season is just about getting underway in Crimea and was expected to progress rapidly across the rest of the country in the coming weeks. The stand-in Ukraine Ag Minister had earlier forecast a 2014 grain crop of 62 MMT, only 1 MMT below last year's record. 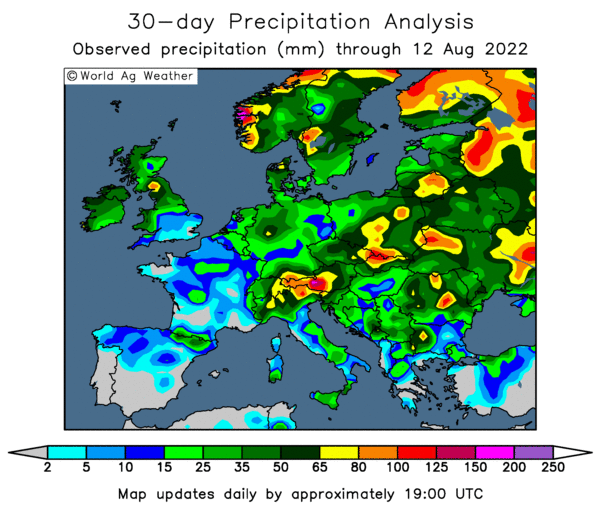 The Ukraine Hydrometeorlogical Centre said that winter grain replanting would be "less than average" at around 6-10%, with the best conditions being displayed in the normally more productive west of the country. Here "no more than 5%" of winter grains will need replanting, they said. Given the relatively benign winter and low levels of frost damage, they see winter grain yields up 10-20% compared to last year. 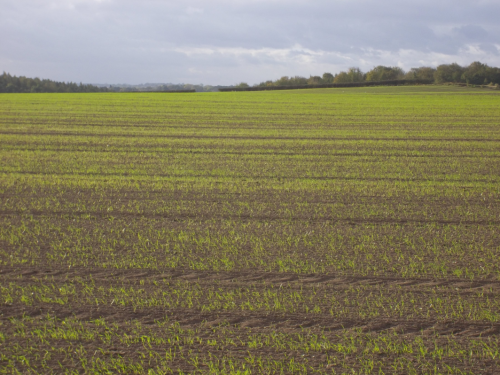 Spring grain planting is also said to be underway in Russia's Krasnodar district, where daytime temperatures of 10-12C are providing "ideal seeding conditions" according to Agritel. Almost all of Europe, as well as the FSU, are forecast to enjoy temperatures warmer to much warmer than normal in the Mar 5-13 timeframe, which should allow good progress to be made with fieldwork there too. Extremely cold temperatures in the Midwest and ongoing drought in the Southern Great Plains, where virtually no rain has occurred for over 2 months, puts US winter wheat at risk, say Martell Crop Projections. The current deep freeze, with "brutally cold temperatures" as low as -15 to -30 F, will also cause short-term logistical problems and restrict the movement of grains. 25/02/14 -- Soycomplex: Beans closed with nearby Mar 14 posting a new high of $14/bushel and finishing the day within a cent of that. Nearby meal also set a new contract high. Very strong nearby demand continues to push the market higher, aided by further fund buying (estimated at around a net 5,000 soybean contracts on the day today). The USDA announced that "unknown" bought 568,000 MT of old crop US beans. There is some obvious speculation that this is China. There is also some debate that this sale may include the provision to deliver South American beans and/or that the delivery period is right at the end of the season, and that the seller may therefore be able to delivery new crop US beans against the contract (assuming that there are any available). The Brazilian harvest is around a third of the way done, and there is some suggestion that output potential is trending lower. Around 85-92 MMT is the range of trade guesses, any of which would be a record versus last season's thus far all-time high of 82 MMT. Wet weather is slowing the Brazilian harvest and causing some yield loss concerns. Flooding is causing some logistical problems too, after Brazil's "soybean highway" in Mato Grosso - the main transport route for beans to the ports - was reduced to only one lane after a dam broke. Repairs could take several months, according to Dr Cordonnier. Reuters reported that a gantry at the Brazilian port of Rio Grande's Tergrasa’s berth had been hit by accident, halting the shipment of grains from one of the five bulk terminals at the port. Repairs to the gantry may take 2 weeks. Analysts at a grain conference in Winnipeg estimated Canada’s canola plantings this year at 21.0 million acres, up 5% from a year ago, but below Ag Canada’s estimate of 21.6 million. Mar 14 Soybeans closed at $13.99, up 12 1/2 cents; May 14 Soybeans closed at $13.87 1/4, up 12 1/4 cents; Mar 14 Soybean Meal closed at $469.60, up $3.70; Mar 14 Soybean Oil closed at 40.58, down 17 points. Corn: The corn market closed around 3-4 cents higher on the day. The heavy rains in Brazil that are delaying the soybean harvest there will also be having a negative impact on timely second crop corn plantings. Israel seeks 56,000 MT of optional origin corn for May-June shipment, with the Black Sea the most likely supplier. The turmoil in Ukraine seems to have calmed down for now, but there are still reports of buyers preferring to buy corn from other sellers, such as Russia, in the region for the time being. South Korea's FLC bought 63,000 MT of US or South American corn for June shipment. Taiwan is seeking 60,000 MT of optional origin corn for April/May shipment. Another very cold spell is underway for the Midwest and US heartland, potentially boosting domestic feed demand for corn. A jump in US ethanol prices is also said to have sparked better margins. The same Arctic blast hitting the US is also in evidence in Canada, making logistics there even worse. US oat futures surged limit up and above $5/bushel to fresh contract highs today, underpinning corn values. Front month Mar 14 oats are now up more than 40% since the turn of the year. Slow rail transportation in Canada was said to be one of the primary factors behind the jump. The Energy Dept will report on weekly ethanol production tomorrow. Last week's grind came in at 903k barrels/day, up 1,000 bpd on the previous week but still below the circa 930k bpd needed to hit the USDA's target for the season. Mar 14 Corn closed at $4.55 3/4, up 4 1/4 cents; May 14 Corn closed at $4.61 1/4, up 3 1/2 cents. Wheat: The wheat market closed mixed. News that Egypt had cancelled 110,000 MT of US SRW wheat for 2013/14 shipment was bearish. Egypt’s Finance Ministry were however said to have approved financial guarantees of $75.3 million for the import of 240,000 MT of wheat. A report on Reuters suggests that they may be in the market to buy some 500,000-700,000 MT of wheat before their own harvest begins in April. They've been absent from the open market since late January. Taiwan are said to be seeking 83,150 MT of US milling wheat for April–May shipment. The USDA's attache in Saudi Arabia said that the country will import 3.03 MMT of wheat in 2013/14 versus the USDA's own estimate of 2.7 MMT. Canada remains mired in logistical issues in attempting to move its record 2013 wheat crop. Bad weather, a newly nationalised railway system and now a 48 hour strike by Vancouver truck drivers are all taking their toll. Analysts at a grain conference in Winnipeg estimated Canada’s 2014 wheat planted area at 23.3 million acres, down 10% from a year ago and well below Ag Canada’s estimate of 24.7 million. India's state owned firm STC was said to have picked up a best bid of $271.10 in a tender to export 110 TMT of wheat out of the west coast for Feb 28-Mar 28 shipment. Another government backed firm, PEC, was said to have picked up a best bid of $274.90 in a tendrr to export 70 TMT of wheat out of the east coast for the same shipment period. Both bids are well above the government's agreed minimum of $260/tonne. Rabobank cut their forecast for CBOT wheat prices in Q4 of 2014 by 80 cents to a 4-year low of $5.60/bushel. Mar 14 CBOT Wheat closed at $6.15, down 2 3/4 cents; Mar 14 KCBT Wheat closed at $6.90 1/2, up 1 1/2 cents; Mar 14 MGEX Wheat closed at $6.74, up 11 1/4 cents. EU Grains Rangebound, In What Direction Will The Breakout Be? 25/02/14 -- EU grains finished mixed but mostly higher, following a firmer close in US wheat futures last night, although sideways still seems to be the residing pattern for the time being. There is however a growing feeling that, barring an unforeseen weather disaster, wheat prices could ultimately end the year lower than where they presently sit. The session closed with Mar 14 London wheat ending up GBP0.50/tonne at GBP156.00/tonne, and with new crop Nov 14 London wheat closing GBP0.05/tonne lower at GBP147.50/tonne. Mar 14 Paris wheat was up EUR0.50/tonne to EUR199.00/tonne, Mar 14 Paris corn was down EUR1.00/tonne to EUR172.25/tonne, whilst May 14 Paris rapeseed fell EUR0.25/tonne to close at EUR389.75/tonne. The last time Paris wheat closed outside the EUR190-200/tonne range was Jan 8, whilst London wheat has been stuck in the EUR150-160/tonne range and Paris corn within an even narrower confines of EUR170-175/tonne during the same period. We're due a breakout, but when will it come, and in which direction will it be? Rabobank joined the list of analysts calling for lower wheat prices by the end of the year. They predict that Chicago wheat will fall to $5.60 by the end of the year, some 80 cents below their previous forecast and a similar discount to where the Dec 14 future currently trades. That's around a 12.5% fall versus today's values. A decline of the same magnitude for Jan 15 London wheat would see it fall almost GBP20/tonne from where it currently resides - close to GBP130/tonne! A 12.5% drop in Jan 15 Paris wheat would see prices around EUR24/tonne lower than where they are today - into the mid EUR160's. "Favourable conditions in many of the world's major wheat-growing regions, including the European Union and the Black Sea, are anticipated to result in an overall 20 MMT, year-on-year increase in global wheat stocks. As we get closer to the harvest of these crops, we expect global wheat prices to come under increasing pressure" Rabobank said. A Reuters survey released around a month ago came up with an average trade guess for Chicago wheat at the year end of $5.73/bushel, and the USDA on Friday predicted prices averaging only $5.30/bushel in the 2014/15 marketing year, so Rabobank aren't out on a limb on their own here. In other news, Ukraine said that they'd exported almost 24 MMT of grains in 2013/14 to Feb 24, an increase of 36.7% on last year. That total includes 14.23 MMT of corn, 7.29 MMT of wheat and 2.14 MMT of barley. The Ministry there currently forecast grain exports at a record 32.5 MMT this season, up 41.3% versus 23 MMT a year ago. Despite some talk to the contrary, last week's exports held up rather well given the unrest seen in the major population areas. Feb 1-20 grain exports via seaports were 1.77 MMT, up almost 5% versus 1.69 MMT in the same period in January, according to APK-Inform. Spring grain planting is also now reported to be underway in the Crimea region of Ukraine. The weather in the UK has turned a little milder too, and it suddenly feels like spring is almost here. Anecdotal reports I am hearing suggest that farmers here are now asking if they can take delivery of their spring seed. 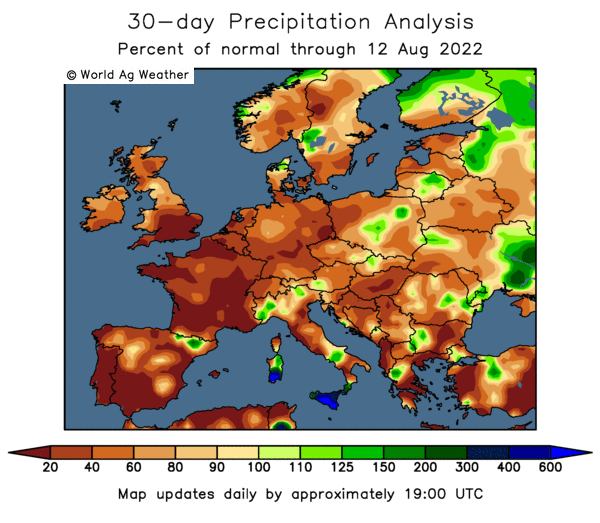 Meanwhile, crop conditions in Europe are generally looking pretty good, if yesterday's report from the EU Commission's MARS unit is anything to go by. "Frost kill in Europe has been very limited so far, thanks to continued warmer-than-usual weather conditions in most regions during most of the winter period, whereas areas with winter cereals that did experience cold were mostly fully hardened and protected by snow," they said. Whilst acknowledging that impact of the flooding and waterlogged conditions on crop production are difficult to judge at the moment, the overall damage done is expected to be "limited" they concluded. On the international tender front, Turkey are in for 100 TMT of optional origin barley for Mar/Apr shipment. Tunisia bought 75 TMT of optional origin soft wheat and 59 TMT of durum in a tender. France might be the most likely supplier of the soft wheat. Morocco's state grains agency has launched a tender to buy 260,000 MT of soft wheat on the local market. 24/02/14 -- Soycomplex: Beans rallied to fresh highs on the continued tightening of supply in the US. Weekly export inspections of 1.27 MMT, whilst tapering down a little in recent weeks, are still impressive for this time of year, especially when you consider that 84% of the USDA's target for the season has already been shipped. Despite the anticipated record large South American crop, fund money continues to extend their long in beans - now estimated at over 200k lots. They were judged to have been net buyers of around 6,000 soybean contracts on the day today. This does however leave the market heavily overbought and vulnerable to a sudden downside correction at some point, but when will that be, and what might trigger it? The Brazilian harvest is gathering pace. Safras e Mercado said that the Brazilian bean harvest is 31% complete, up from 21% a week ago, and ahead of last year's 28% and 18% on average at this time. They said that the Mato Grosso bean harvest is 45% complete and they are 37% done in Parana. Safras said that they will update their Brazilian bean crop estimate next week. Looking further ahead, the trade is digesting the figures published at last week's USDA Outlook Forum and thinking hmmmm. Record US soybean yields, what are the chances of that? Record usage of 3.430 billion bushels, yes I can buy that. Assuming usage at this level and instead pencilling in last year’s yield of 43.3 bushel per acre, ending stocks would only be 136 million bushels next year, not the 285 million that the USDA gave us on Friday. And don't forget that was also based on a 150 million carry-in from this year, a number that many think is overstated. That's why Nov 14 beans closed at almost $2/bushel more than the USDA's forecast average price for 2014/15 of $9.65/bushel tonight. Mar 14 Soybeans closed at $13.86 1/2, up 15 3/4 cents; May 14 Soybeans closed at $13.75, up 14 3/4 cents; Mar 14 Soybean Meal closed at $465.90, up $10.10; Mar 14 Soybean Oil closed at 40.75, down 20 points. Corn: The corn market closed a cent or so lower. Weekly export inspections came in at 791,947 MT (31.17 million bushels), pretty much exactly what the market expected. "Cumulative inspections for the marketing year are now approximately 667 million bushels. To keep pace with the USDA's 2013/14 corn export estimate of 1.6 billion bushels, weekly inspections will need to average 34.56 million bushels (or 878,000 MT) over the final 27 weeks of the marketing year," noted Benson Quinn Commodities. The trade is also looking at last week's USDA numbers and thinking, record 165.3 bu/acre yields, oh really? It would take a near perfect growing season to hit that target. The USDA's estimated average price for corn in 2014/15 of $3.90/bushel is around 75 cents below the current price of the Dec 14 future. The market currently clearly thinks that production has more potential to be lower in the US this year than it does to be higher. 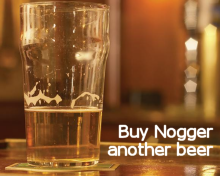 As Bruce Forsyth would say "it's a king, what do you want to do? Higher or lower than a king?" Planting of the US 2014 corn crop is actually already underway in Texas, at 3% done as of 23 Feb, which is in line with the 5-year average. Turmoil in Ukraine is supportive, at least in the short-term. They have been majoring on corn exports for some time. Even though APK Inform said that Ukraine sea ports shipped 704.5 MMT of grain last week (with 86% of that corn), the trade is thinking that some buyers will shy away from booking Ukraine corn for the time being until the political situation calms down. That potentially provides a small window of opportunity for US corn in the near term to some homes. Reuters reported that Russian corn prices are up "at least" $5/tonne in the past week as buyers look to sellers there as an alternative to Ukraine. The Russian Ministry say that Russia has exported 2.3 MMT of corn so far this season, and traders estimate that they have the potential to ship around 1 MMT more. Mar 14 Corn closed at $4.51 1/2, down 1 1/2 cents; May 14 Corn closed at $4.57 3/4, down 1 1/4 cents. Wheat: The wheat market closed mostly higher with the exception of front month Mar 14 Minneapolis wheat. Fund money was seen further covering in it's short position in Chicago wheat, buying an estimated net 4,000 contracts on the day. Weekly export inspections of 427,239 MT were in line with expectations. That was up versus 306,707 MT last week, but down on 576,562 MT a year ago. Weather concerns remain for US winter wheat. "The Midwest winter may go down as one of the coldest on record, as abnormal cold weather dominated also in January and most of December," said Martell Crop Projections. "Brutally cold temperatures have redeveloped in the US heartland, after a brief warm spell last week. The jet stream this week will carve out a deep cold trough over North America, delivering a fresh batch of d Arctic air to the Midwest and Great Plains. Midwest temperatures are predicted to plummet to -15 F to -20 F Wednesday and Friday mornings, some 25-30 F below normal," they said. "With cold dry polar air dominating the heartland, the precipitation forecast indicates mostly below-average precipitation this week. Hard red wheat continues to struggle from winter drought not expecting significant moisture this week," they added. In contrast, conditions in Europe are positively benign, aside from some excessive wetness in one or two places. 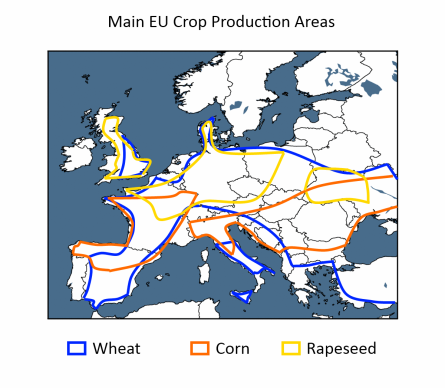 Generally though, the worst affected areas of the UK and France aren't high producing wheat regions. Demand for EU wheat remains solid. The German Stats Office said that the country had exported 7.6 MMT of grain between July–Dec, up 17% versus 6.5 MMT a year ago. Reuters report one Canadian analyst forecasting all wheat plantings there to fall by 10% this year to 23.3 million. That's below Ag Canada's estimate of 24.7 million acres released last week. The Canadian railway system is said to be "overwhelmed" by the logistics of attempting to transport last year's record wheat and canola crops to the ports for export. Mar 14 CBOT Wheat closed at $6.17 3/4, up 8 cents; Mar 14 KCBT Wheat closed at $6.89, up 6 1/4 cents; Mar 14 MGEX Wheat closed at $6.62 3/4, down 1 1/2 cents. 24/02/14 -- EU grains were mostly a little lower, and now appear to be trading sideways until we have a clearer picture of what crop production will be like in Europe, the US and FSU later in the spring. Mar 14 London wheat ended GBP0.10/tonne lower at GBP155.50/tonne, and with new crop Nov 14 GBP1.35/tonne weaker at GBP147.55/tonne. Mar 14 Paris milling wheat was EUR0.25/tonne higher at EUR198.50/tonne, Mar 14 Paris corn was down EUR0.75/tonne to EUR173.25/tonne and May 14 Paris rapeseed fell EUR2.00/tonne to EUR390.00/tonne having earlier traded at the highest level for a front month since last July. The EU Commission's MARS until said that "the impacts of the flooding and waterlogged conditions on crop and pasture production are difficult to judge at this time." The UK and northern Italy are the worst affected areas, although parts of France, Spain and Portugal have seen similar condition but to a lesser extent, they said. Overall though, they don't see huge problems for crop production, noting that in the UK it's grassland areas rather than arable land that is worst affected. "At the national level (in the UK) the impacts on production are expected to be limited. In France, the negative impact of the rains is expected to be more localised. In the Iberian Peninsula, the excessive rains in the north-western areas may have hampered pasture development, whereas the effects on crops and restored water reservoirs are predominantly beneficial in the southern regions," they said. MARS are expected to release their first EU-28 yield forecasts of the season next month. In Russia, IKAR estimated the 2014 grain crop at 91 MMT - broadly similar to last year. ProZerno were more upbeat, estimating the 2014 Russian grain harvest at 98 MMT, saying that reduced winter sowings are being compensated for by much lower levels than normal of winterkill and better than average crop conditions. 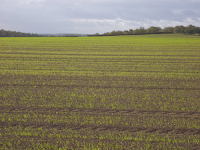 They said that at the end of December winter crop losses were only estimated at 3.5%. Around 8-9% would be considered normal, although losses have been known to run into double figures in some years. They peg the 2014 Russian wheat crop at 55 MMT, with barley production at 18 MMT and a corn crop of 10.2 MMT. They see Russian grain exports rising to 25-27 MMT in 2014/15 from 22 MMT this season, including 18-19 MMT of wheat, 4 MMT of barley and 3-3.5 MMT of corn. Exports this season currently stand at more than 17 MMT, including 13.2 MMT of wheat, and 2 MMT each of barley and corn, they said. Meanwhile, for all the talk of Ukraine temporarily "shutting up shop" on the grain export front, APK Inform said that 704.5 MMT of grains was shipped out of Ukraine sea ports last week, up from 516.3 MMT a week previously. Maybe this was a sudden last minute dash for the door? The vast majority of last week's total was corn at 606.6 TMT, they said. Ukraine's record 63 MMT grain production last year could realistically swell to 80-90 MMT within the next 10 years, ProZerno said. 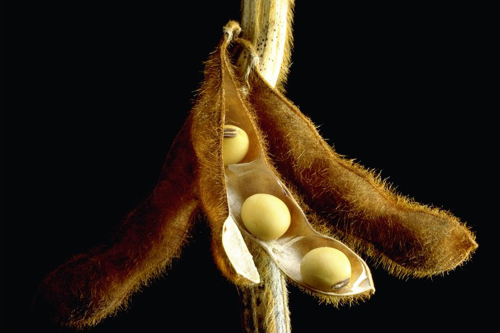 21/02/14 -- Soycomplex: Beans closed around 12 to 18 cents higher, despite opening lower, as the trade grapples with the frenetic pace of US exports and heavy fund buying balanced against a very large, and imminent, South American crop and the outlook for a sharp rise in US plantings this spring. The USDA reported weekly export sales of a net 86,300 MT of old crop and 749,100 MT of new crop, versus expectations for combined sales of only 200-500 TMT. Although the old crop sales were a marketing year low, they still weren't negative as many have been expecting in recent weeks. There were however some cancellations in there for unknown destinations (268,500 MT) and China (145,600 MT). Actual shipments themselves of 1,339,500 MT were down 10 percent from the previous week, but still a decent total. The US have now shipped 34.4 MMT of soybeans so far in 2013/14, that's 84% of the USDA's target for the season. Outstanding sales of a further 8.9 MMT take total commitments to over 105% of the USDA's current estimate for the season. The latest Commitments of Traders report shows managed money adding to their soybean long in the week through to Tuesday. They now sit on a net long in excess of 195k contracts - their largest such position since September 2012. We know from yesterday that the USDA's Outlook Forum projected 2014 US soybean plantings at a record 79.5 million acres this year, versus 76.5 million a year ago. Today they said that 2014 yields would be a record 45.2 bu/acre, up 4.4% on last year (what are the chances of accurately forecasting that at this stage?). That takes production up to a record 3.55 billion bushels, a rise of nearly 8% versus 2013. This means that 2014/15 US ending stocks will jump from this season's "line in the sand" below which they refuse to cross of 150 million bushels, to a more comfortable 285 million. That's a stocks-to-use ratio of 8.3 percent - the highest of the past eight seasons. The Buenos Aires Grains Exchange estimated soybean plantings there at 20.3 million hectares, which is half a million lower than previously. The Argentine Ministry said that 85 percent of early-planted and 73 percent of late-planted soy crops are in good to very good condition. There's talk of shipping delays now starting to build in the Brazilian port of Santos. 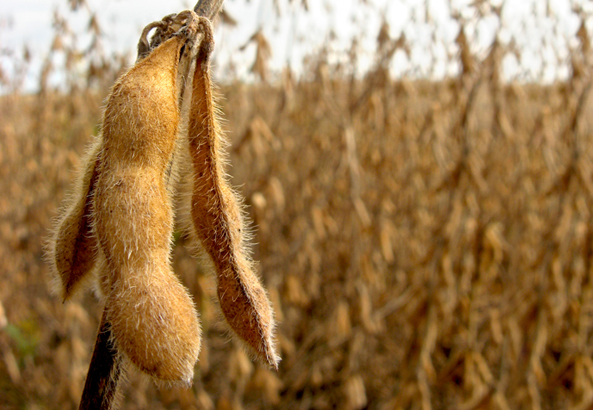 Mar 14 Soybeans closed at $13.70 3/4, up 12 1/2 cents; May 14 Soybeans closed at $13.60 1/4, up 12 1/2 cents; Mar 14 Soybean Meal closed at $455.80, up $4.90; Mar 14 Soybean Oil closed at 40.95, up 38 points. For the week that puts front month beans up 33 /14 cents, with meal gaining $5.80 and oil adding 180 points. Corn: The corn market finished lower on the day, but higher for the week. Weekly export sales of 691,400 MT of old crop and zero for new crop were below trade expectations for sales of 800 TMT to 1.2 MMT. As the dispute with China over MIR 162 corn rumbles on there were no sales to that particular buyer. There were cancellations from unknown destinations (127,500 MT) and China (18,800 MT). Exports of 745,000 MT were down 22 percent from the previous week and 15 percent from the prior 4-week average. The US has now shipped 16.5 MMT of corn so far this season, or 40.6% of the USDA's forecast for 2013/14. There's a further 18.8 MMT of outstanding sales, taking total commitments so far to 87% of the USDA target. The latest Commitments of Traders report shows managed money adding to their newly established long in the week through to Tuesday. They now sit on a net long of a little over 45k contracts having been short on corn since early last summer. The USDA now say that US farmers will plant 92 million acres of corn this year, versus 95.4 million in 2013. They also project 2014 US corn yields at record levels of 165.3 bu/acre (see above), up 4% on 158.8 bu/acre last year. That takes production in 2014 to a new record 13.985 billion bushels versus 13.925 billion in 2013. Demand for corn from the US ethanol sector is seen holding steady at 5 billion bushels, with 2014/15 ending stocks rising to 2.111 billion bushels, up from 1.481 billion at the end of this season, and over 2.5 times more than at the end of 2012/13. Note that the USDA estimates US corn, soybean, wheat and cotton acres at a combined 238.5 million acres, exactly the same area as last year. Yet early season wetness in 2013 produced a total very significant "prevent plant" area being claimed for on insurance. Last year's Outlook Forum pegged 2013 corn plantings at 96.5 million acres, and by the 31 March planting intentions report that area had risen to 97.3 million versus the 95.4 million that the USDA now say finally did get planted. US soybean plantings were estimated at 77.5 million acres at last year's Outlook Forum and 77.1 million at the end of March, before finally falling to 76.5 million. So a combined area of 2.1 million acres in February, rising to 2.4 million in March seemingly never go planted. Where did it go? Not into wheat, which was estimated at 56 million in February and 56.4 million in March, before ultimately ending up at 56.2 million they now tell us. Where are those lost acres now? Chinese customs data shows that they imported 650,904 MT of corn in January, up 64% from a year ago. They also imported 575,462 MT of DDG's, up 600% from a year ago. The Buenos Aires Grains Exchange said that the Argentine corn harvest is underway at 1.2% complete versus 5% a year ago. They estimate production at 23.5 MMT, unchanged from previously, but down 13% from 27.0 MMT in 2012/13. Mar 14 Corn closed at $4.53, down 2 3/4 cents; May 14 Corn closed at $4.59, down 3 1/4 cents. For the week front month Mar 14 was up 7 3/4 cents. Wheat: The wheat market took a bit of a thrashing to end, what had been up until now, a decent week. Options expiry, a bearish slant to the USDA's Outlook Forum data and pre-weekend profit-taking may all have been behind today's action. Weekly export sales were a bit disappointing at 424,500 MT of old crop and 67,000 MT of new crop versus trade expectations of 500-700 TMT. More disappointing though were actual shipments of only 277,300 MT – a marketing-year low – which were down 31 percent from the previous week and 29 percent from the prior 4-week average. The primary destinations were Brazil (60,000 MT), Japan (55,800 MT), South Korea (33,000 MT), Mexico (32,500 MT), and Nigeria (30,500 MT). The US has now shipped 21.8 MMT of wheat so far this season, or 68% of the USDA's forecast for the marketing year. There's an outstanding sales total of 5.9 MMT taking total net commitments to 86.5% of the USDA's target. The latest Commitments of Traders report shows managed money continuing to decrease their net short on CBOT wheat by almost 9,000 contracts in the week through to Tuesday. They now sit on a net short position of nearly 34.5k lots. That was over 100k lots at the end of 2013. In Kansas they are net long around 18.5k lots and long in the region of 7k lots in Minneapolis. The USDA's Outlook Forum pegged all wheat plantings for the 2014 US harvest at 55.5 million acres versus 56.2 million a year ago. Harvested acres however are seen at 47.2 million, which is 2 million more than a year ago due to lower abandonment rates. The 2014/15 wheat yield is seen averaging 45.8 bushels/acre, down from 47.2 bu/acre last year, possibly due to more marginal land making it through to harvest this year. All in, that gives us a 2014/15 US all wheat harvest of 2.16 billion bushels, up slightly on 2.13 billion in 2013/14. US wheat ending stocks are seen rising from 558 million bushels at the close of this season to 587 million next year. Chinese customs data shows that they imported 725,942 MT of wheat in January, up 304.75% from a year ago, with 256,935 MT of it coming from the US. Frigid weather is due to return to the Midwest next week, which may cause renewed winterkill concerns. Indeed the longer range forecast shows much colder than normal conditions largely remaining through to the second half of March. Meanwhile hard red winter wheat on the Southern Great Plains is in the throes of severe drought, say Martell Crop Projections. "The last important rain in West Texas was mid December. Oklahoma has received 1.25 inches of rain December-February, against 4.1 inches on average and 30% of normal. This is the United States second largest wheat state," they note. Russia says that 96% of it's winter grains are in good to satisfactory condition. Nevertheless, SovEcon say that a 2014/15 grain harvest of 86 MMT versus the government estimate of 95 MMT is likely to be nearer the mark, given the sharp reduction in higher yielding winter plantings. Mar 14 CBOT Wheat closed at $6.09 3/4, down 6 1/2 cents; Mar 14 KCBT Wheat closed at $6.82 3/4, down 9 cents; Mar 14 MGEX Wheat closed at $6.64 1/4, down 17 1/2 cents. For the week CBOT wheat still added 10 1/4 cents, with KCBT wheat up 8 1/4 cents and MGEX falling 2 1/4 cents after today's slump.